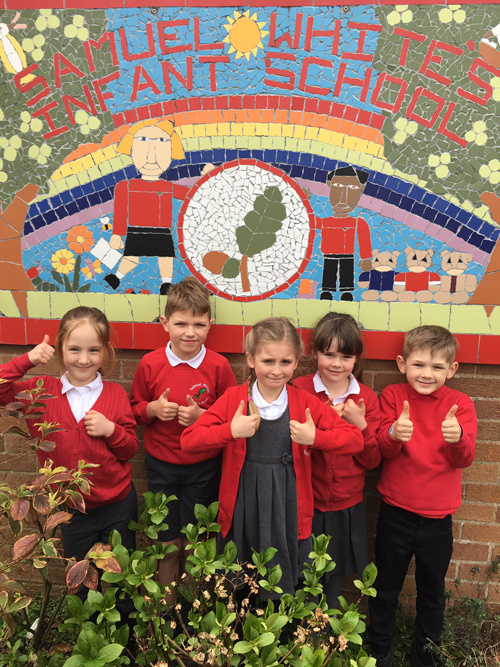 PUPILS at an infant school in the heart of Hanham are celebrating another Good rating from education watchdog Ofsted. The 253 boys and girls at Samuel White's Infant School have been told by inspector Wendy Marriott that the school is in a much stronger position that at the last inspection, when it was also rated as Good. “The school has demonstrated strong practice and marked improvement in specific areas since its last inspection,” she said. The inspector praised headteacher Gabby Howells, who started at the school in 2016. The report said she works closely with Hanham Primary Federation headteacher Mike Coyne to develop high-quality teaching and learning. In 2018 assessments, standards at the end of reception and at the end of Year 2 in reading, writing and mathematics were above the national average. SEND pupils also make positive progress, the report said. All parents who responded to Ofsted's online survey, Parent View, said they would recommend the school. Ms Marriott commented on the arrival of a T-Rex model (pictured above with pupils) in the school hall. This was the start of “exciting and deep learning” in history and science, she said. In order for the school to improve further, teachers should continue to develop pupils’ vocabulary and enthusiasm for writing, the inspector said. Samuel White's became a primary federation with its site neighbour Hanham Abbots Junior School in September 2013, just months after being told it requires improvement. Since then the school in Abbots Avenue has gone from strength to strength. In just two years, staff turned the verdict around and welcomed a Good rating in 2015. *The school is seeking to recruit new governors to join their board. If you have a passion for education and can offer your time please contact the clerk of governors via Samuel White’s school.